74 Exploration: SE Asia – Where are the Giants Hiding? 78 GEO Conservation: Does Geology Last Forever? As a tentative and uneasy peace settles on Libya, what does the future hold for the North African oil producer, considered by many as underexplored? The Aldous/Avaldsnes prospect has grown into one of the largest discoveries 3in the North Sea ever, largely due to excellent reservoir properties. New geochemical data reveal similar petroleum systems to those found in the prolific sub-salt off Africa and Brazil and significant potential for Namibia’s offshore basins. The recent Bath Discoveries Conference was devised as a celebration of the 30th birthday of the Geological Society of London’s Petroleum Group. What is an Oil Scout? Is it a ‘cloak and dagger’ operation – or a highly qualified occupation calling for extensive knowledge of the industry and great interpersonal skills? Andrew Melvin of Moyes and Co. sheds some light on the business. In previous editions of GEO ExPro we have discussed the effect of seismic shooting on mammals and fish. What about animals without ears, like the crab? In this article, we discuss how the crab’s hearing system works and report from a Canadian research project investigating the effects of seismic shooting on snow crabs. South East Asia – Where Are the Giant Fields Hiding? Exploration in South East Asia has a long history – almost 150 years. Is its heyday gone or do giant fields still lie in wait? Shale gas has been a game changer for the energy industry in the United States – but things look a bit different in Europe. A new atlas of the North East Atlantic region is the outcome of collaboration between national survey organizations. The 2011 World Energy Outlook tells us that fossil fuels will dominate for the next 25 years. The result: a substantial increase in temperature. As the United Arab Emirates celebrates its 40th anniversary, we take a look at the making of modern Dubai. Marlan Downey, Chairman of the Board and Founder of Roxanna Oil Company, has reinvented himself many times over the course of his 50-year career and shows no signs of slowing down. In each new venture, he brings a unique combination of technical expertise in chemistry and geology, a lifelong love of learning and a desire to collaborate with the best and the brightest. 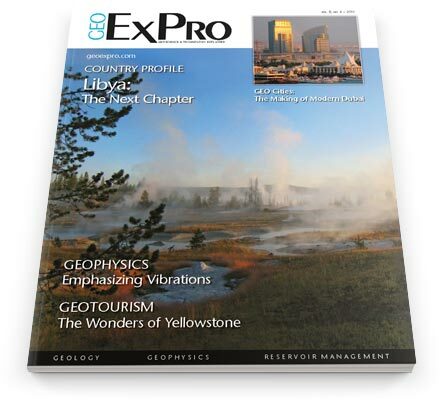 Petroleum geology textbooks have been an essential tool for training generations of teachers, researchers, explorers, and managers in the petroleum industry. Here we look at some of the early textbooks in this field as a way of paying tribute to these works and their authors, upon whose shoulders stand the writers, teachers and textbooks of our time. The last time that the oil weapon was used was during the oil crisis in 1973. The US no longer had an oil buffer for the West to lean on and was thus unable to defend itself against OPEC’s oil supply cut. Does shale oil mean the US could once again become selfsufficient in oil? The Earth’s resources have been exploited by humans for many thousands of years, but we need to ensure that the integrity and accessibility of important sites and landscapes in the geological heritage are preserved for future generations. Here, one group of enthusiasts from Northern England look at the issues involved and explain how they are trying to ensure that geological sites in their region will continue to be treasured and enjoyed by all. Recent discoveries by Anadarko in Mozambique have propelled that country to the fore in the hydrocarbon industry in the last year, and the first well drilled in offshore Area 4 looks set to continue the trend.